The Tacoma Fire Department awarded Firefighter Matt Fleming with the medal of valor in a special ceremony yesterday. The department’s highest award, the medal of valor is given to firefighters who demonstrate acts of bravery and heroism in an extremely hazardous situation. There have been only four emergency incidents in the last twelve years that have resulted in medals of valor. The accolade stemmed from a June 5, 2012 water rescue incident. Crews responded to a report of a capsized boat in Commencement Bay and upon arrival found one of the boats occupants had made it to shore and the other was clinging to a flotation device approximately 100 feet off-shore. With the fireboat Destiny still en-route, and the patient appearing to be losing the fight to stay above water, Firefighter Fleming volunteered to be the rescue swimmer as the incident commander organized a shore-side rescue attempt. 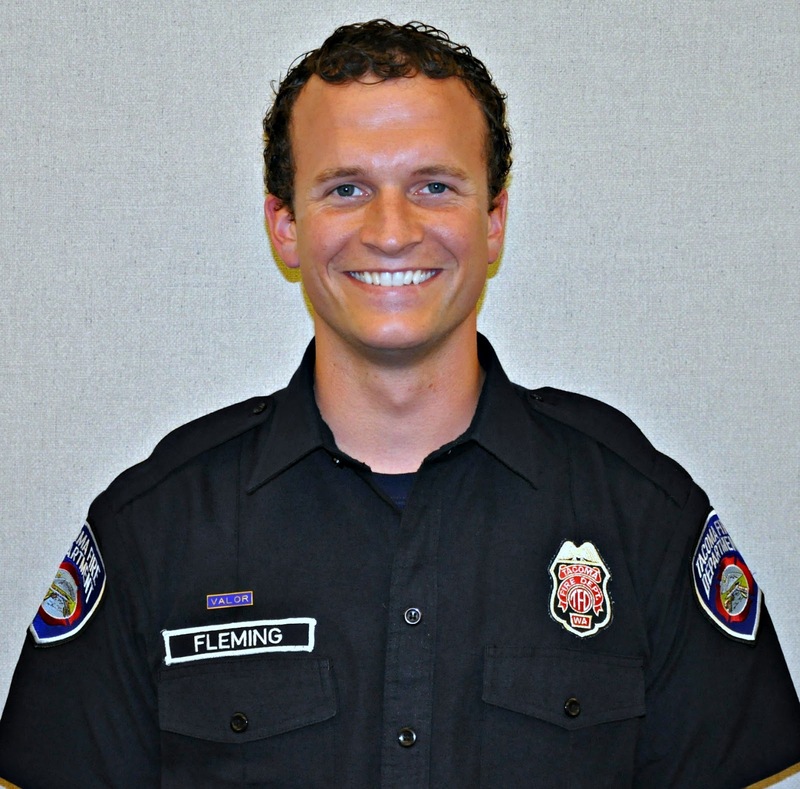 Firefighter Fleming discarded his excess clothing, donned a personal flotation device, secured a tag line and swam out in the 45 degree water to the patient. Once there, he secured the patient to a life ring and kept his head above water as police and firefighters pulled the pair to safety. 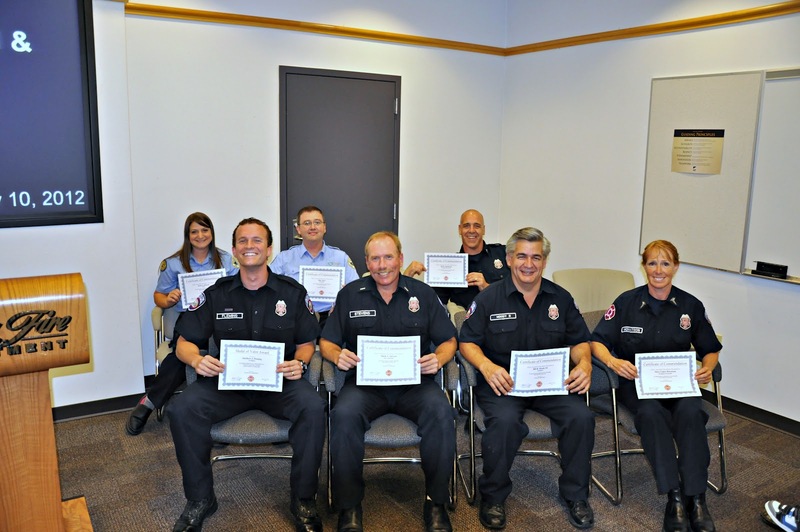 Also receiving Letters of Commendation were the following Tacoma Fire Department, Tacoma Police Department and Rural/Metro Ambulance Company members who participated in the rescue efforts. Well done everyone!